A Supreme Court bench of Justice K.S.Radhakrishnan and Justice A.K.Sikri has issued fresh guidelines on quashing of criminal proceeding of a non-compoundable offence by using the inherent powers of High Court under Section 482 of Criminal Procedure Code, on the basis of a settlement between the parties. 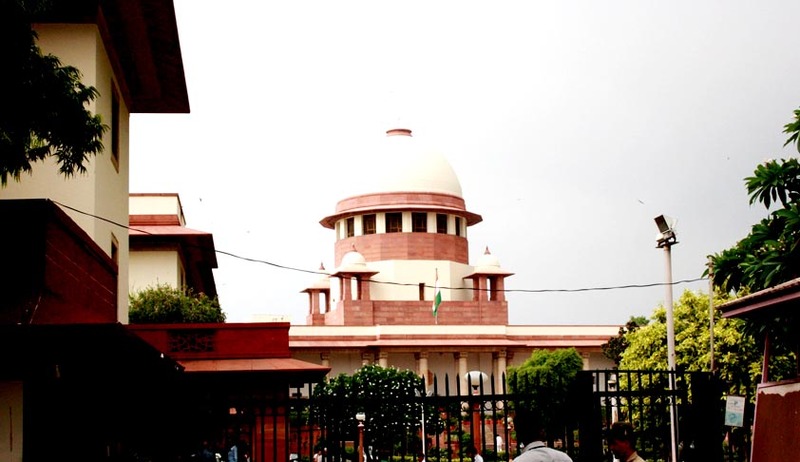 Supreme Court was considering the question whether a serious offence like S.307 of Indian Penal Code [Attempt to murder] be quashed on the basis of a compromise entered in to between the parties. “There are cases where the power of the High Court under Section 482 of the Criminal Procedure Code to quash the proceedings in those offences which are un-compoundable has been recognized. The only difference is that under Section 320(1) of the Code, no permission is required from the Court in those cases which are compoundable though the Court has discretionary power to refuse to compound the offence. However, compounding under Section 320(1) of the Code is permissible only in minor offences or in non-serious offences. Likewise, when the parties reach settlement in respect of offences enumerated in Section 320(2) of the Code, compounding is permissible but it requires the approval of the Court. In so far as serious offences are concerned, quashing of criminal proceedings upon compromise is within the discretionary powers of the High Court. In such cases, the power is exercised under Section 482 of the Code and proceedings are quashed. Contours of these powers were described by this Court in B.S.Joshi vs. State of Haryana which has been followed and further explained/elaborated in so many cases thereafter, which are taken note of in the discussion that follows hereinafter. At the same time, one has to keep in mind the subtle distinction between the power of compounding of offences given to Court under Section 320 of the Code and quashing of criminal proceedings by the High Court in exercise of its inherent jurisdiction conferred upon it under Section 482 of the Code. Once, it is found that compounding is permissible only if a particular offence is covered by the provisions of Section 320 of the Code and the Court in such cases is guided solitary and squarely by the compromise between the parties, in so far as power of quashing under Section 482 of the Code is concerned, it is guided by the material on record as to whether the ends of justice would justify such exercise of power, although the ultimate consequence may be acquittal or dismissal of indictment. Such a distinction is lucidly explained by a three-Judge Bench of this Court in Gian Singh vs. State of Punjab & Anr. Justice Lodha, speaking for the Court, explained the difference between the two provisions in the following manner: "Quashing of offence or criminal proceedings on the ground of settlement between an offender and victim is not the same thing as compounding of offence. However, certain offences which overwhelmingly and predominantly bear civil flavor having arisen out of civil, mercantile, commercial, financial, partnership or such like transactions or the offences arising out of matrimony, particularly relating to dowry, etc. or the family dispute, where the wrong is basically to the victim and the offender and the victim have settled all disputes between them amicably, irrespective of the fact that such offences have not been made compoundable, the High Court may within the framework of its inherent power, quash the criminal proceeding or criminal complaint or FIR if it is satisfied that on the face of such settlement, there is hardly any likelihood of the offender being convicted and by not quashing the criminal proceedings, justice shall be casualty and ends of justice shall be defeated. The above list is illustrative and not exhaustive”, said the Court.